May 2, 2018: Astronomers using the NASA/ESA Hubble Space Telescope have detected helium in the atmosphere of the exoplanet WASP-107b. This is the first time this element has been detected in the atmosphere of a planet outside the Solar System. 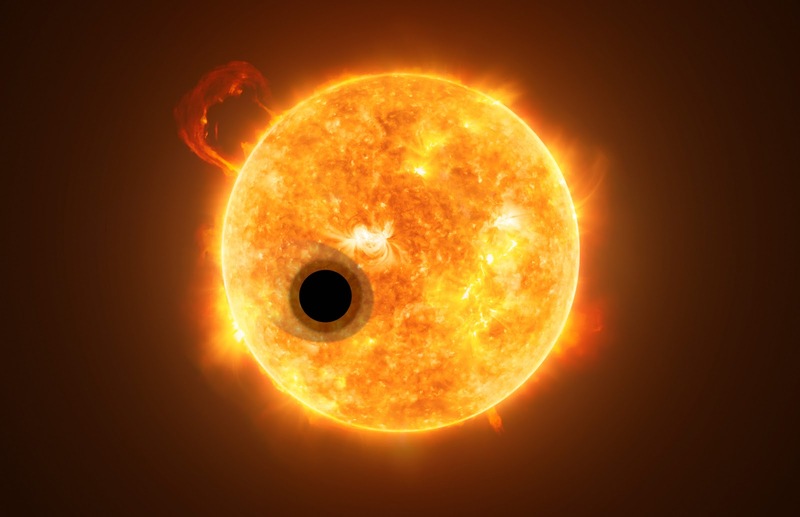 The discovery demonstrates the ability to use infrared spectra to study exoplanet extended atmospheres. The amount of helium detected in the atmosphere of WASP-107b is so large that its upper atmosphere must extend tens of thousands of kilometers out into space. This also makes it the first time that an extended atmosphere has been discovered at infrared wavelengths. Since its atmosphere is so extended, the planet is losing a significant amount of its atmospheric gases into space—between ~0.1-4% of its atmosphere’s total mass every billion years .